I know what you’re thinking… Nutella®! Well, sorry to disappoint you but this is not a copycat recipe for Nutella®. Although this spread is also made with hazelnuts, the rest of the ingredients are slightly healthier. Let me explain. When you look at the list of ingredients in any label, they are written in order of the weight. So, the first ingredient is usually the one that is present in the largest amount. Let’s take a look at the ingredient list of Nutella® -the first ingredient is sugar, followed by palm oil, hazelnuts, cocoa, skim milk, etc… So there is more sugar and oil than any other ingredient. Don’t get me wrong, I love Nutella® just as much as the next person. In fact, I don’t trust anyone who tells me they don’t like the stuff 🙂 , but it’s January and we need to keep those New Year’s resolutions going — you know, the ones we all made about eating healthier. So instead of reaching for that jar of you-know-what, consider this Easy Homemade Cocoa Hazelnut Butter. There’s less sugar, less fat and as a result, less calories per teaspoon. But remember, everything in moderation. The first thing you need to do is toast the hazelnuts in an oven in order to loosen the skins. We don’t want any of the skins in our nut butter, as they are known to provide a bitter aftertaste. Once the skins have darkened and have started to crack, remove the nuts from the oven and wrap them in a kitchen towel; rub the hazelnuts together to easily remove the skin. Another method is to place the hazelnuts in a bowl, invert another bowl over the nuts and shake. The shaking action will loosen the skins. As you can see, the removal of the skins is not always 100% and that’s okay. If you are purchasing nuts without the skin, you should still roast them in order to bring out that nutty taste. I purchase my hazelnuts at Costco. 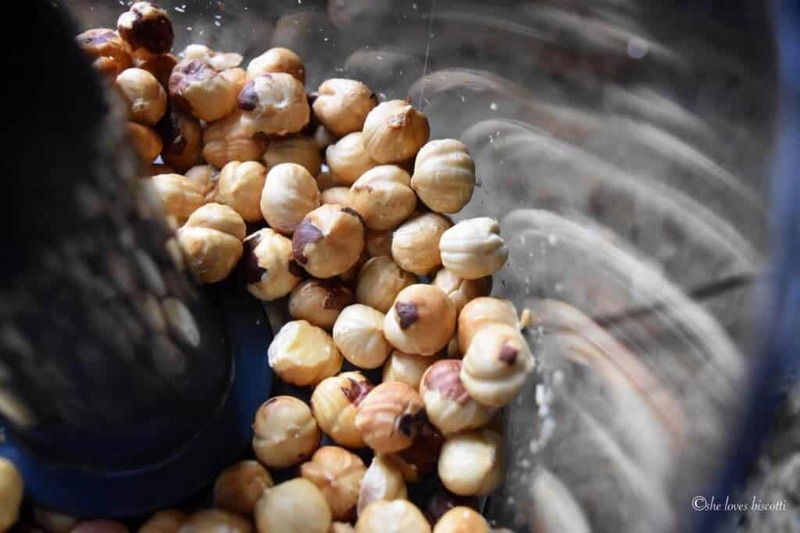 Place the warm skinless nuts in a food processor and grind the hazelnuts at low speed until a paste is formed. Keep grinding those nuts. Remember, you need to scrape down the sides of the bowl every few minutes or so. 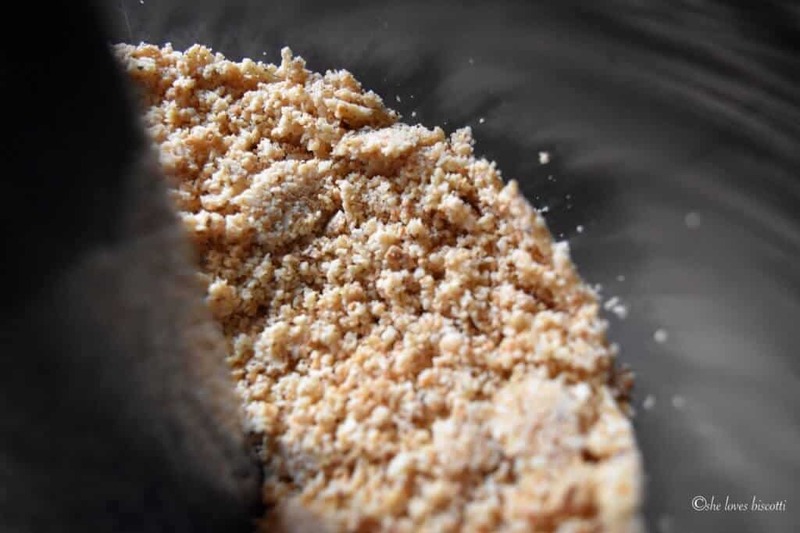 Before you know it, the natural oils will be released and the hazelnuts will be transformed into a nut butter. This can take up to 10 minutes. If interested, I have already shared with you how easy it is to make your own Homemade Almond Butter. It is the same process, only we are going to be making this nut butter a little more decadent. Add the rest of the ingredients and you’re done! You have just made Easy Homemade Cocoa Hazelnut Butter! The spread can be kept at room temperature or refrigerated for one month. Please note that the spread will harden slightly once refrigerated. Nut butters are great to spread on toast, swirl into your breakfast bowl, blend into your smoothie, or enjoy as is. A few years ago, I bookmarked this video from America’s Test Kitchen. I loved the fact that the focus on this recipe is the hazelnuts. I did, however, make one change – I substituted the icing sugar with honey. I’ve included the original video, just in case you would like to see the process of making this recipe. 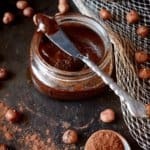 If you have a food processor, this recipe for this Easy Homemade Cocoa Hazelnut Butter is an easy, tasty, healthy and economical spread to make at home. 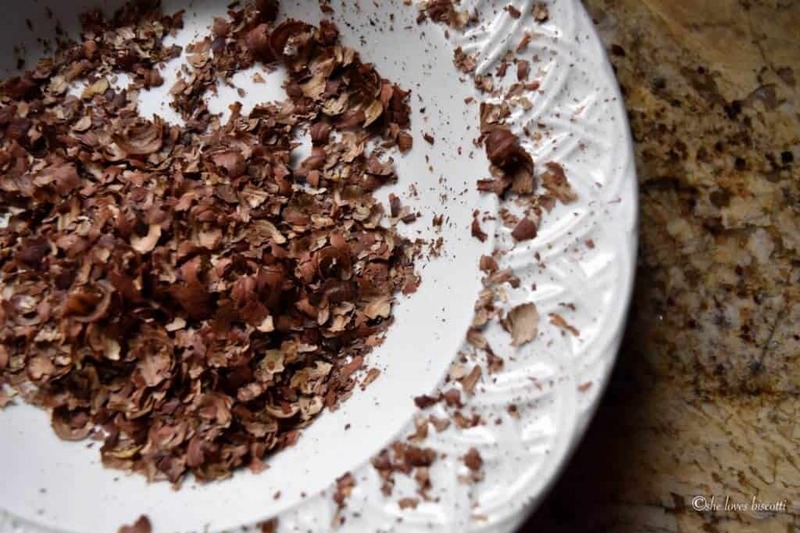 Here's a recipe for an Easy Homemade Cocoa Hazelnut Butter which is guaranteed to elevate your opinion of the humble nut butter. Spread hazelnuts on a baking sheet and toast in oven for about 12-15 minutes, or until skins have browned and begin to crack. Wrap hazelnuts in a kitchen towel and rub together to remove the skins. Another method is to place the hazelnuts in a bowl; cover with another bowl and shake. Add warm skinless hazelnuts to a food processor and process on low speed until creamy and smooth (about 10 minutes). You will need to scrape down the sides of your bowl every few minutes or so. It can be kept at room temperature or refrigerated for one month. Please note that the spread will harden once refrigerated. Pinned for later. Definitely trying this. Thanks. I can tell from just reading your recipe that it captures the hazelnut – chocolate flavor combination perfectly. Although I was raised on Nutella, I stay away from it for exactly the reasons you mentioned. Grazie Maria, I still have some hazelnuts from Piemonte in the freezer and now know exactly what I shall do with the, Terrific Valentine’s Day gift! Hope you like it Jess! We will save the Nutella for ultra special occasions 🙂 Thanks for taking the time to comment. This recipe is so easy! I’ve been wanting to make my own for a while. Can’t wait to try! Yes! That’s a priority on our list! 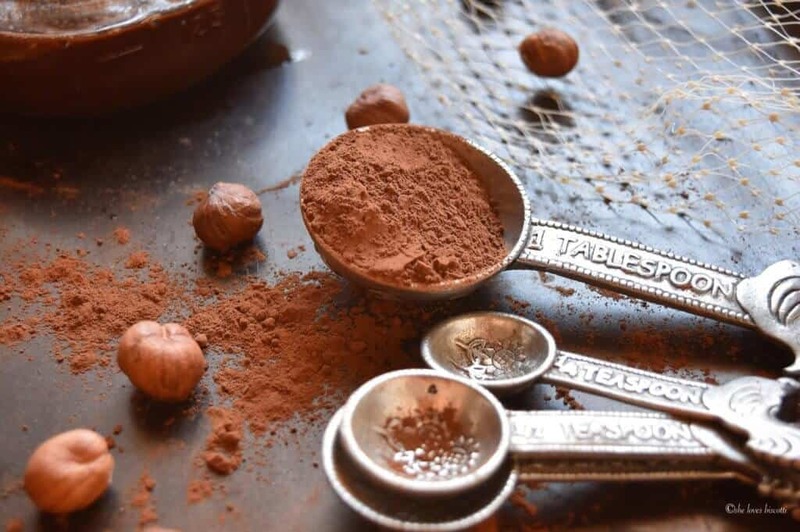 Your cocoa hazelnut butter looks amazing!